Pottery Mark Query - "Marco":- My Grandmother passed away when I was only 2 years old, but growing up I always loved to look at the china collection she had. This collection consisted of her own purchases and my Aunt's also; of which she obtained after her sister's death. 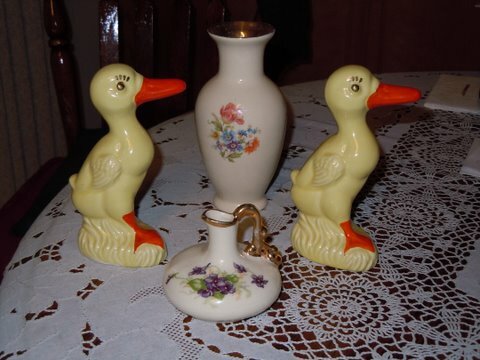 My Aunt I have found out, was very good at collecting only the finest and valuable china for her collection. was little and to this day I find myself looking at it with awe and marvel at how inspiring it is. It wasn't until this summer when I was cleaning that I stopped to look at the teacup and reminisce. The funny thing about it this time, is I related it to all the Jane Austin novels i have read. I love the time era and how they had tea everyday. So i decided along with my collection of Jane Austin books, earlier movies and clothing, I decided that I wanted to learn about teacups. So being of the generation where I am supposedly technology savy,I hoped on the internet and started to search for information about the marking Marco. Well, to my frustration I could not find anything other than history about Marco Polo. I checked a trade mark on a teacup my mom has, and found information about it, but no matter where I look and how... Marco seems imaginary. any help at all would be much appreciated. I would like to know more about the teacup, seeing as how i know a little of the history within my family. Plus now I'm even more curious as to the trade mark and who made it. Thank you for offering your knowledge and resources to help. This website has taught me a lot about collecting china and it will be very helpful as i start collecting more to accompany "Marco". Jessica, beautifully written contribution, wish all contributions were as nice. We are as baffled as you right now!! But hopefully not for long as someone will know something. Guest researcher Melissa has done some great work on this one - click the comments below. 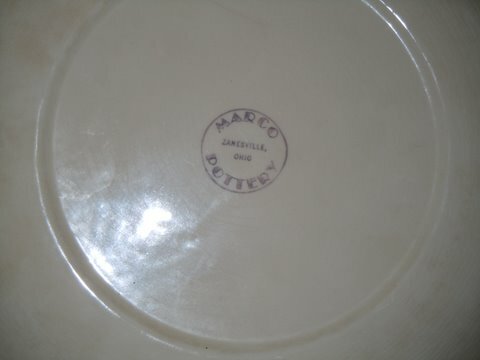 Comments for Pottery Mark Query - "Marco"
I have found a couple of references online to a Marco Pottery of Zanesville, Ohio, USA, and a Marco China company. No idea if they are related. The closest mark is a lily-of-the-valley patterned dish currently on ebay marked Marco in a similar style, but without the branches. 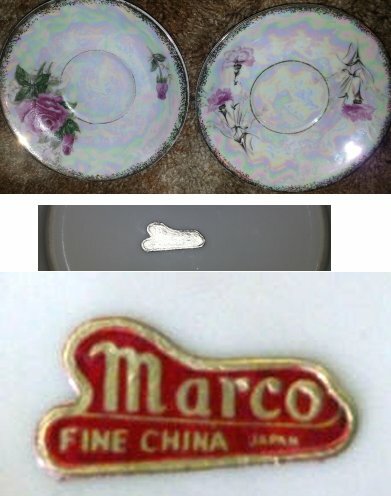 Other pieces available on ebay have a "Marco Fine China" sticker. 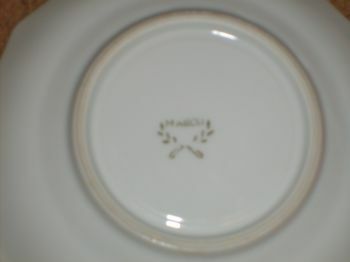 One seller of a set of 4 snack plates says the mark is "Marco Fine China, Japan," but alas, does not show the mark. I also found Marco Pottery Zanesville OHio. 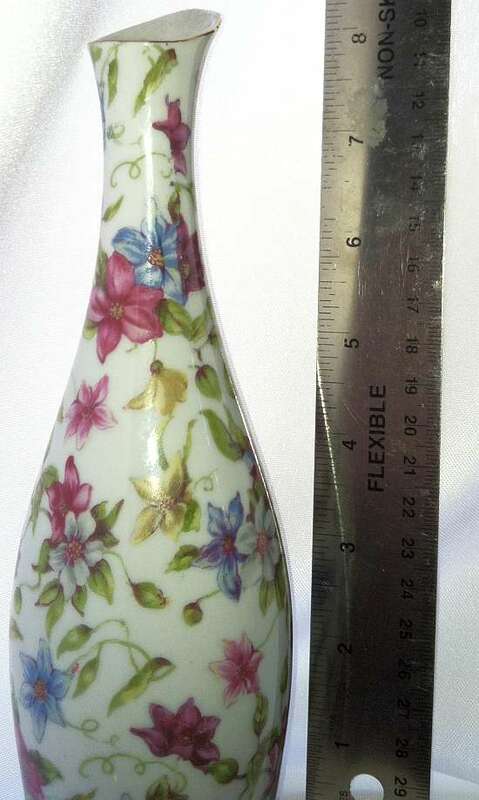 www.atticshoppe.com shows a small violet porcelain vase and shows the manufacturer's mark. It is not similar to the one you show,however. I have a matching teapot with the rose theme and Marco stamp on the bottom. I inherited the teapot from my grandmother many years ago. I am also frustrated at the lack of information out there. Good luck in your search! I have written to the person's email (above), but as yet have had no reply.... watch this space. I will immediately post if and when I get a response. As I mentioned in my e-mail several days ago, I am not having a lot of success finding out a lot of info on Marco Pottery. All I really have is an 89 year old man that tells me what he remembers and boxes and boxes of papers and personal items that I am searching through. One thing I did learn is that my brother-in-law has all the pottery stored in his garage from our grandfathers estate. Will be going there in a couple of weeks and see what I can find. Hang in there guys and hopefully we can piece it all together. I feel like Nancy Drew on a mission!!! Please take some photos of your 'mission' and I will add them to your thread for you. 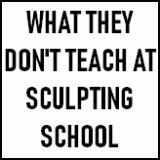 Just send them to me at peteradmin@theclayartist.com. Make sure you mention the 'MARCO' thread. Send as many as you want and I will edit them into a little diary to be posted up here. 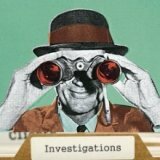 Looking forward to hearing about your investigations! I have a beautiful "Marco cup and saucer that I am trying to sell but can't find it anywhere to figure out what it is worth! any help would be great! I also have a cup that sounds very similar to the one described with the "Marco" on the bottome with the gold looking olive branches. While trying to find something out about this marking I stumbled across this site. Will keep digging also until I find something. Finally another Marco mark like mine! Let me know if you ever do find out anything about this china! Doris, as usual you are a star! This is a great summary ot the different Marco Pottery marks. When you have time, send in the pics and I'll look forward to posting them into you comments for you. 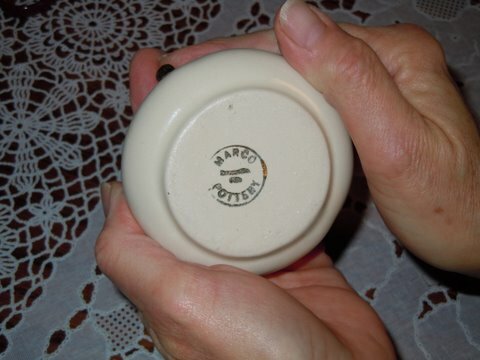 I came across a two handle (like a tray) decorative 7 1/2 " x 5 " porcelain dish that has the "Marco" name on the back. It has a small rose painted in the center with a detailed gold floral pattern as the background. Handles and edges are accented in gold. I too have no idea where it was made or when. 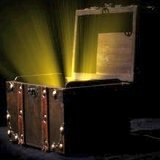 Hey Ann, take some time to read the above info on Marco - a great little company we Elves love to uncover lots of info on. You should get all your info there. I also have some Marco tea sets with the olive branches and have always wondered who made them...has anyone actually found out anything??? Doris's answer above says that apparently the mark in Jessica's photo which shows the laurel or olive branch does not belong to the US company she has researched. In that case, we don't know exactly who this other Marco company is. If you have any of this olive branch marked Marco wares, please post. Hi. I found your page when trying to find out more about a beautiful cup and saucer that belonged to my grandmother. Unlike the other comments, mine are marked plain "MARCO" in gold. I'd love to send a couple photos, but I'm not sure how. (The handle is elaborate and the base of the cup is "four-footed." There are no leaves, underline or any other mark except the name in caps and I'm most curious about the date of manufacture or painting. 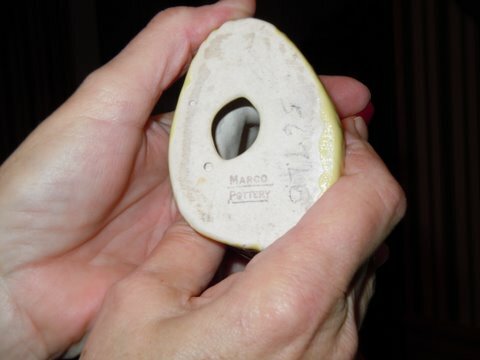 Please send your photos to me marked for 'Pottery Mark Query - Marco' and I will add them to your post. Just found this site trying to learn about Marco. My mominlaw is giving me a teacup and saucer with blue bachlelor buttons on it. The cup is three footed with a scrolled handle. We like to have Teas and, of course, our teacup sets are simply a collection of different patterns. All part of the fun. It's been great reading about your adventures of trying to discover information about Marco. Like some other commenters, I have a tea cup from my grandmother, looking for info on it. My stamp is all caps 'MARCO' in gold on the bottom. It has a pine cone motif on the side. As stated by Doris, the gold leafs with the Marco were not made by this company! So still would like to know where it comes from! I have tea cups and saucers that belonged to my great-grandmother who came to the US in the 50s (so she would have purchased them here). The cups are stamped MARCO in gold with the two branches with loops. They also have black paper stickers on them marked Made in Japan, so that should give you some hint on the date. I remember these cups from when I was a kid in the 60s. I have two cups and saucers with what look like violets with good handles and rims. Hope that helps. No idea on their value. has three red roses, one of which is faded, painted on it. It has a silver painted edge. branches. I researched this on my computer, and came up with nothing but Marco Polo's adventures. and what the appraisal value is. and where it was made and what the value of it is. Recently acquired a pair of white chamber sticks, with ornate gold trim on the ends and handle. they are both marked MARCO in gold. Trying to get some info on them. They are very light weight, I can't determine if they are porcelain or pottery. To me they are to light to be pottery. On the back of one there is the remains of a silver label but it is impossible to make anything out. Would love to find out more about them. I recently purchased two small saucers, iridescent glaze which resembles the inside of an oyster shell as well. Gold painted rims. One has roses painted, the other, another kind of flower. Both very delicate. they have a foil sticker which reads Marco fine China, Japan. I found two pieces, one on eBay, which was a small angel figurine priced so far at $75.00. There was another site where I found a small deer figurine with the same sticker. My sticker is only silver now, but I believe it used to be red. Any information appreciated about value!! 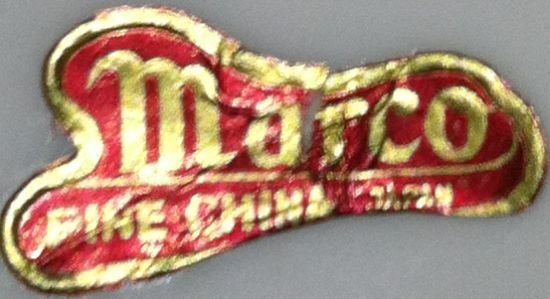 Great incontrovertible evidence that there are two completely separate china manufacturers unconnected both with the name 'Marco'. One is from the good ole US of A, the other is from Japan. That clears up a tad of confusion. 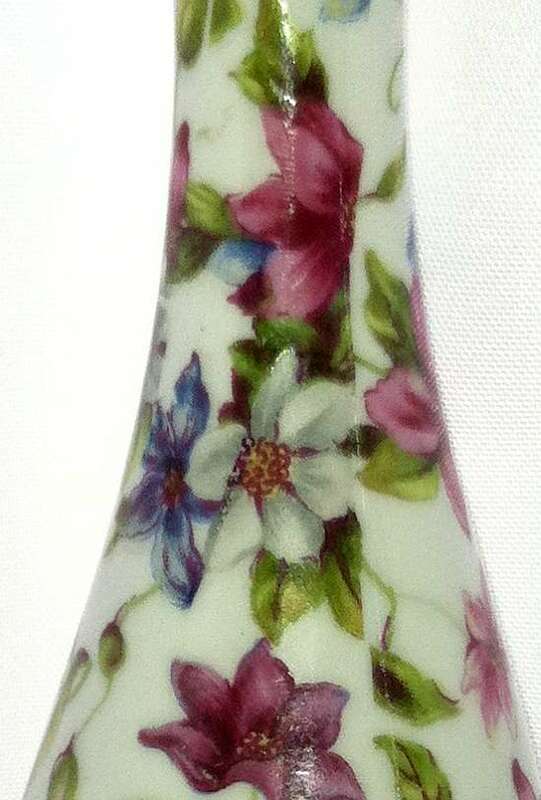 Marco flowered vase approx 8 inches MINT condition! I need to find out how to post (from my I-phone) some pics of my Marco vase for you to see- anyone know how these pictures on this blog thread were posted? Thanks for your tech-savvy help!! I would also love to find out about value of the pieces from japan. I believe them to be fairly rare. Sandy, I have 4 pieces that match your vase!!! I was looking up the value of a very nice little brown turtle I picked up at the goodwill and saw these comments. Mine does have a red sticker and says marco fine china japan. I was going through some old boxes and found a Marco Pottery swan vase. Thank you to all who uploaded images of the marks. I too have a lovely pearlescent/lusterware type teacup and saucer with the paper red & gold sticker "Marco fine china Japan." I think there are a lot fewer of these identified since stickers come off! These are almost certainly post-WWII, since at that time technology improved for making stickers that would remain stuck to pieces, and so sticker labels were allowed. If there aren't any stickers or other maker's marks, you can also use the general shape and design of the pieces to get an idea of the era. I have a collection of six tea cups and saucers that belonged to my husbands grandmother. I've had them for years and was wondering where they might have originated from. In reading all these posts, it appears that they manufactured this china in Ohio. Still would like to know dates of when these were in manufactured and when they ceased production???!!! I have pictures I can send . I found this kitten coin Bank in my grandmother's estate. It's marked as Marco Pottery. I'd love to know more about it. Cannot find any photos online. It's a creamy white color with gold accents. 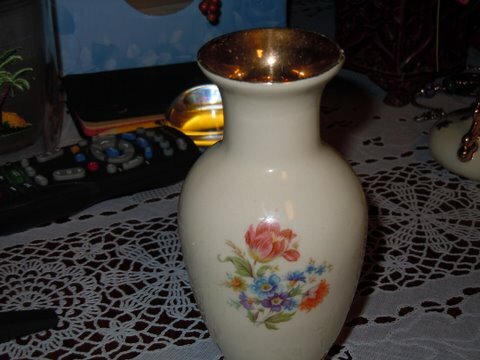 I have a vase with a black back round and MARCO POTTERY MIDDLEBORO GUERNSEY OHIO in capital letters, the vase is 10" tall and in a purple sponge it is made of sand stone and very heavy. 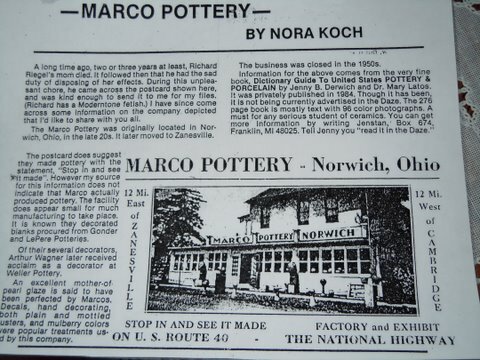 Hi Joe,Marco pottery originally started in guernsey county, Ohio before moving to Cambridge and then finally toZanesville, Ohio! With our family history associated with the pottery I have been very fortunate to acquire 3 pieces of the early pieces! I did end up paying a pretty price for these original early pieces!! Hi- I just found this site while trying to identify 3 small plates with the MARCO and olive branches. Has anyone figured out what they're worth? I will send a pic. I purchased a three footed teacup and saucer with MARCO on bottom. No olive branches. Is this from Japan or USA? Tea up and saucer with repeating pattern of young man and lady in a gardenlike setting. Gold rimmed on both saucer and cup. Looks like it could be English type setting? Each piece has MARCO stamped on the bottom plain and simple. Like most I found this sight by searching MARCO. 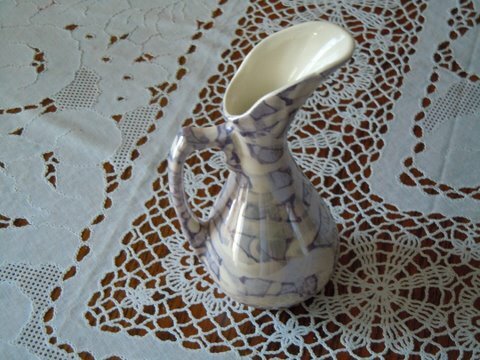 Small gray pitcher with blue spriggy flower painted on one side and 3 blue brush strokes on the other side. MARCO and a flower in a.vase imprinted on the bottom. Any value or age estimate? I have 2 dishes marked only MARCO on the bottom nothing else both look alike purple small flowers with gold trim one migh5 be salad dish one tea cup size , i cant find anything on these. I have a green crackle tea set; tea pot with lid, creamer and sugar. I cannot find anything about the pieces. On the bottom of the pieces, it has a blue paper medallion. On the medallion it has Marco Pottery, Middlebourne Guernsey, Ohio. If anyone has any information , please post. I have a small Marco Pottery vase. It's an off white color with gold inside. On the outside is a pink flower, a white flower & some small blue flowers with green leaves. Does any know what about what it might be worth if I try selling it on Ebay? Hi Bonnie! Your tea set is one of the early pieces before Marco pottery moved to Cambridge,Ohio! For values sake since only one piece has the identifying sticker it is important to keep all pieces together! 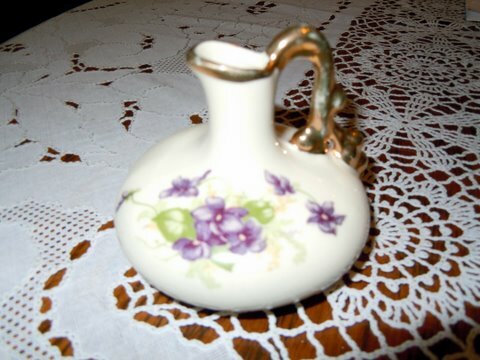 I have a laced gold trimmed irredecant saucer with deep purple flowers. Mine has Marco in good with olive branches. Is this from Japan? I wanted to post a pic but I can’t see how to.